Windham Fabrics is proud and excited to announce the addition of our two newest celebrities; Rocket J. Squirrel and Bullwinkle J. Moose. 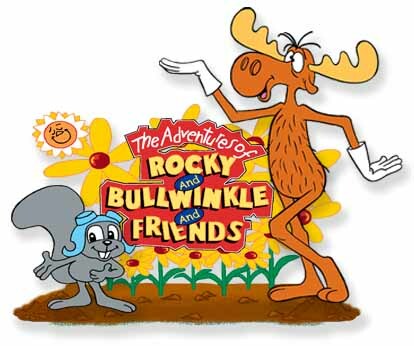 More commonly known as Rocky and Bullwinkle, these lovable characters are famous for their 1960’s animated cartoon series. Rocky is a flying squirrel and one half of this fearless, adventurous and brainless team. Bullwinkle, otherwise known as the great American clod, spends his time collecting box tops and playing his favorite instrument the ukulele. Together they work side by side doing their part to take down the evil in the world. Coming this August the dynamic duo will be hitting your favorite fabric stores near you!! 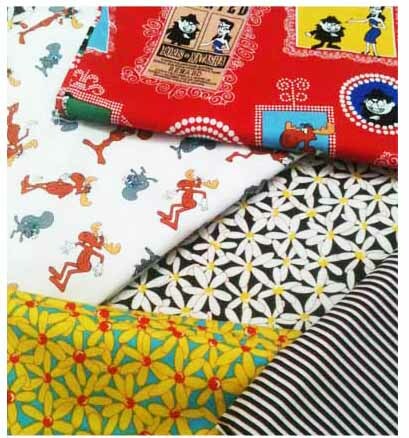 Use your imagination and have fun with this light-hearted, jocular collection!! 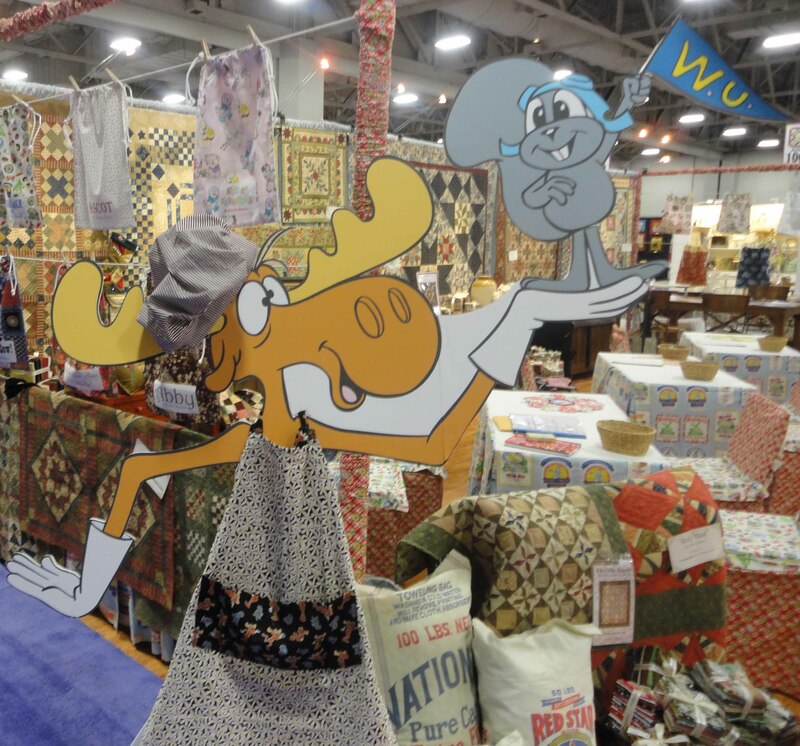 Use The Adventures of Rocky and Bullwinkle to make a playful quilt!! Bullwinkle sporting a fun apron and chef's hat made out of the The Adventures of Rocky and Bullwinkle fabric collection!! I remember watching them! I like the way they used black and white with the bright colors. Cute quilt! Really your blog is very interesting …. it contains information important and unique. I enjoyed visiting your blog. It’s just amazing …. A big thank you for sharing.